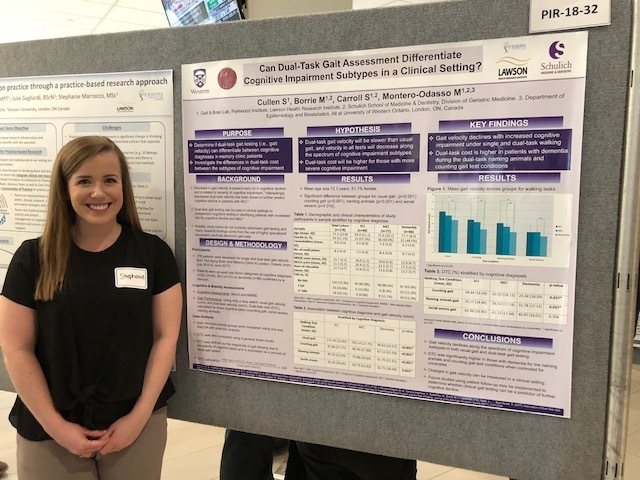 On April 27th, 2018 several Gait and Brain Lab Trainees presented their research projects at the Parkwood Institute Research (PIR) Day. Congratulations on all your hard work! 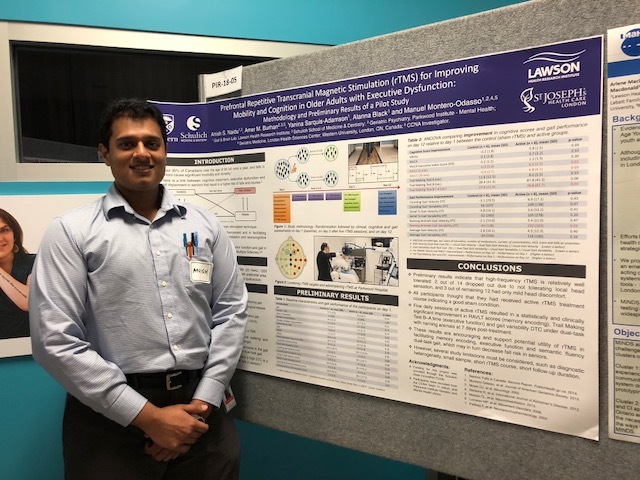 Anish Naidu (MD student) with his poster on rTMS and Executive Dysfunction. 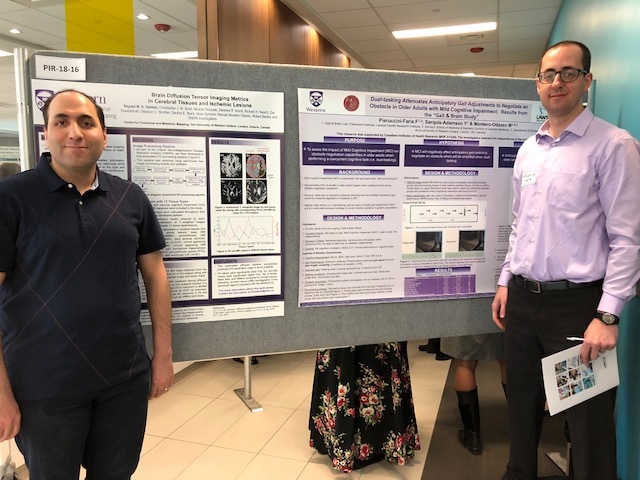 Dr. Seyyed Haddad and Dr. Frederico Faria, both Post-Doctoral Fellows, with their research posters. 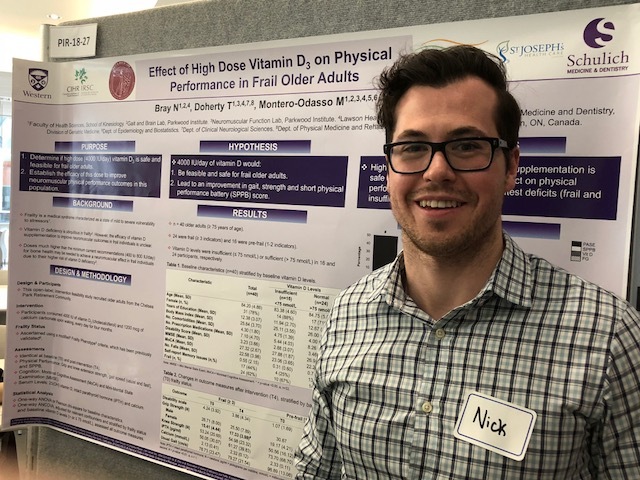 Nick Bray (PhD student) with his poster on Vitamin D supplementation for older adults. 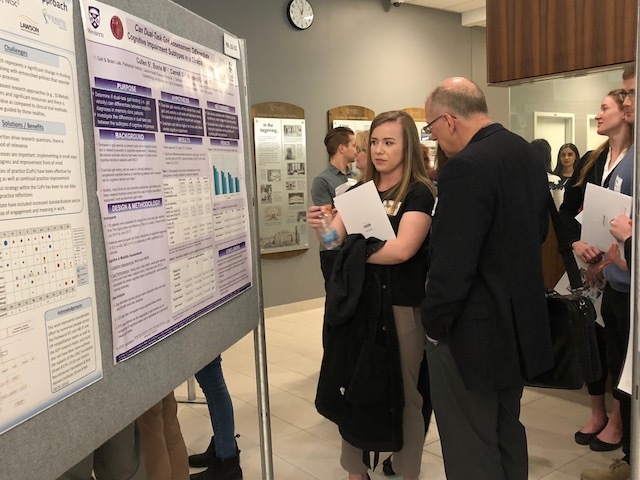 Stephanie Cullen (undergraduate student) with her poster on dual-task gait testing in memory clinics. 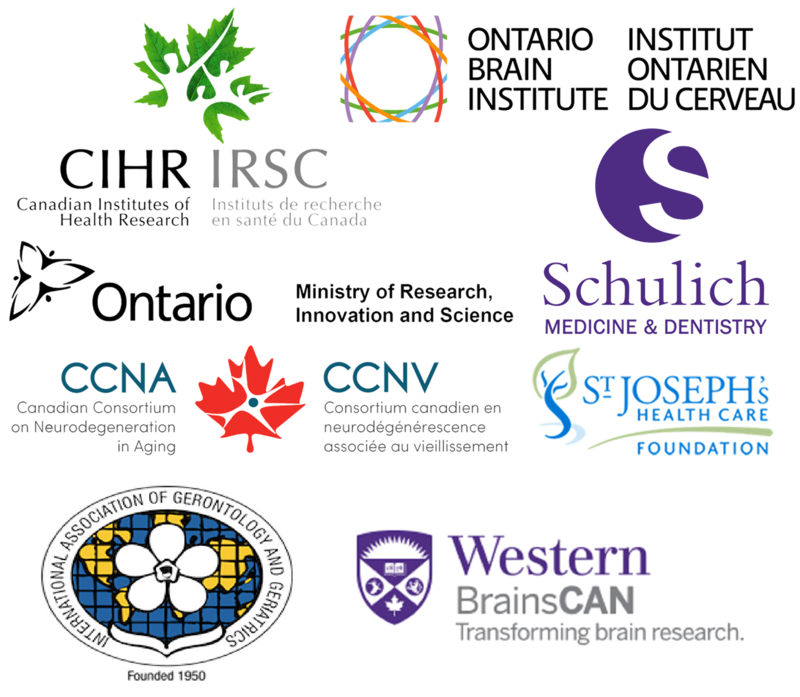 ← Gait and Brain Team Photos from the 2018 Lawson Impact Awards!